A majestic view of Vinschgau and the Ortler mountain range, which surrounds the valley, give wings to your dreams! Welcome to Hotel Watles**** in Mals! 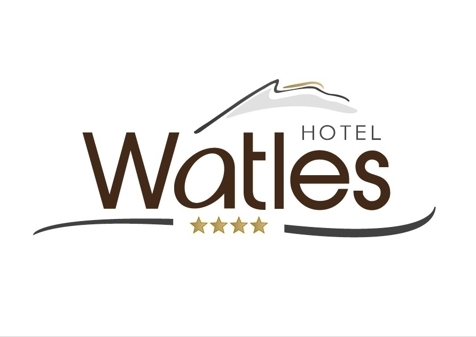 Hotel Watles**** in Mals is situated in a unique and quiet position near the ski and hiking area Watles with a dreamy view of the steep rock faces of the Ortler Mountains and of the valley of Vinschgau. Here you will spend wonderful days in a homelike ambience, where good service makes the difference. Our modern and cozy rooms and suites offer space and comfort for the whole family. All rooms are flooded with light and provide a wonderful panoramic view of the surrounding mountains. The host of the house will spoil you with tasty South Tyrolean dishes. Our spacious wellness area offers you pleasant and relaxing moments. Indoor swimming pool, sauna, relaxing rooms and a beauty farm make your holidays unforgettable. 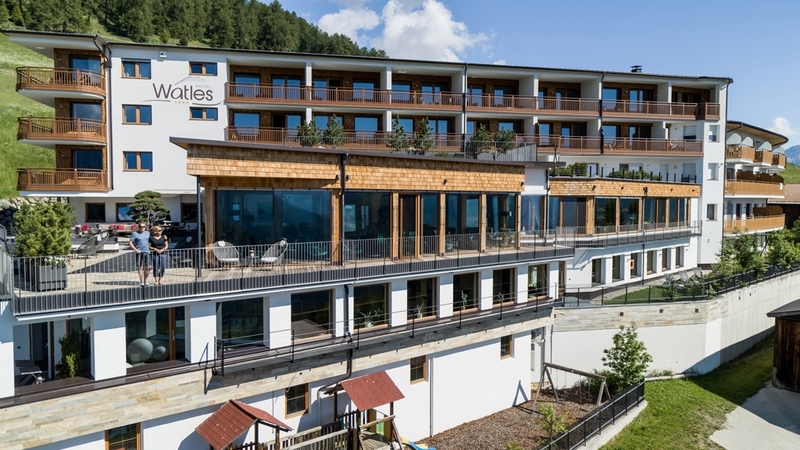 Hotel Watles is the best starting point for many alpine and peak hikes in summer and in winter. The chair lift of the hiking and skiing area Watles is only a few footsteps from the hotel away. All guests of our Hotel Watles**** have the possibility to test their skills in archery in our 3D course for beginners and experienced archers. 3D archery is a sport deriving from England and which has many fans in South Tyrol, Germany and Austria. We also offer a renal service for the arches. The two courses guarantee a lot of fun and dreamlike panoramic views over the mountains in the environs. For our most courageous guests, then, we offer a private paragliding starting place for tandem flights with a landing place in Schleis on 1,060 m. Another starting place is reachable by lift and a 20 minutes walk. The Ziernheld Family looks forward to seeing you soon!